Hungering for a European sports sedan like an Audi A4, BMW 3 Series or Mercedes-Benz C-Class, but can't quite justify the expense? If so, the 2009 Audi A3's taut handling, sophisticated design and hatchback versatility, at a price lower than those worthy machines, could make this car a keeper. The Audi a3 is a very well equipped and performing car for any kind of driver. I love my a3 it has a number of performance parts equipped that make it an incredible car to drive I love the Audi feel and performance. Anyone who loves German engineering and or making cars faster or perform better will love the a3. Its built from the same platform as VW golf or gti and has a number of aftermarket parts available for this car like the golf or gti. 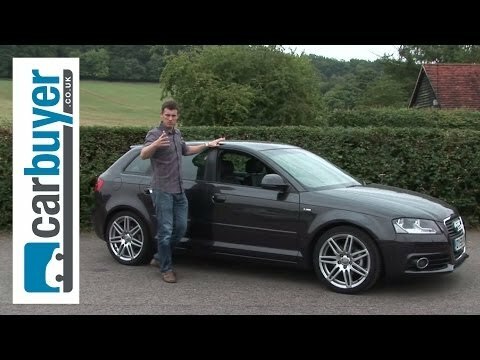 The a3 is a great entry level luxury vehicle and just like any other vehicle when well maintained it will run forever with the aftermarket support and how relatively cheap and easy it is to work on make it a great car for anyone. Audi: dependable sporty car but high maintenance. Nice leather seats, powerful engine, good gas mileage. It is dependable and is made for cold weather driving. It is seats are very comfortable. The Audi has heated seats. What I do not like is it is a high maintenance car. It needs to be serviced far more often than my old car. I bought it used and it has some quirky problems like a door that sometimes does not open right. It is fun to drive and good for the first 5-7 years, but overall it wears badly. I like how my car looks and drives but it is not reliable. It suits my needs. It is small to zip around the city in and fits into small parking spaces. However, something is always wrong with it, especially the oil. It eats up oil like crazy. The gas mileage is not great. The wear and tear of the car is pretty bad considering the age of the car. 2009 Audi A3 Sportback (8P). Start Up, Engine, and In Depth Tour. Volkswagen Group of America, Inc. (Volkswagen) is recalling certain model year 2009-2010 Volkswagen Jetta A5 Sedan, 2009 Volkswagen Jetta SportWagen, Eos, GTI, Rabbit and Audi A3 vehicles, and 2010 Volkswagen Golf A6 vehicles. The Antilock Brake System (ABS) control unit may fail during ABS or Electronic Stability Control (ESC) activation, possibly causing a loss of vehicle control. A loss of vehicle control can increase the risk of a crash. Volkswagen will notify owners, and dealers will update the ABS control module software to improve the module's self-testing abilities. Any module that fails the new diagnostic test will be replaced. These repairs will be made free of charge. The manufacturer has not yet provide a notification schedule. Owners may contact Volkswagen customer service at 1-800-893-5298.